The Psychology Discipline at Western Sydney University is concentrated in three connected workgroups in the School of Social Sciences and Psychology. These groups are Clinical Psychology and Therapy Studies, Psychology: Behavioural Science and Psychology: Human Behaviour. Psychology in the School is closely linked with the MARCS Institute for Brain, Behaviour and Development and the Centre for Health Research. Western Sydney University received a rating of four (above world standard) in the recent Excellence in Research for Australia 2015 evaluation in the field of psychology. There are active programs of research attracting current external national competitive funding in biological, clinical, cognitive, developmental, health, learning, social, and perceptual psychology. For more information visit the Foundational Processes of Behaviour Research Laboratories, CaHPRI, MARCS Institute for Brain, Behaviour and Development and the Centre for Health Research pages. The research facilities include the Babylab (opens in a new window) operating at Bankstown and Penrith as well as the Psychology Clinic operating at the Kingswood campus with well-advanced plans for specialist research clinics including one addressing eating disorders. an interview room with multiple video and audio capture facilities. 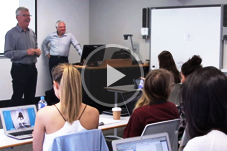 Academic Course Advisor, David Mutton gives an overview of the Master of Clinical Psychology program offered at Western Sydney University. 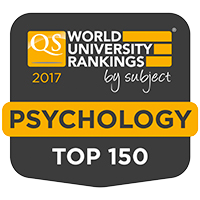 Western Sydney University has been ranked in the Top 150 Universities for Psychology, in this year's QS World University Rankings by Subject.